Home Spy Shots Your Spyshots Pagani CAR reader spots the coolest ever Pagani Huayra driver! 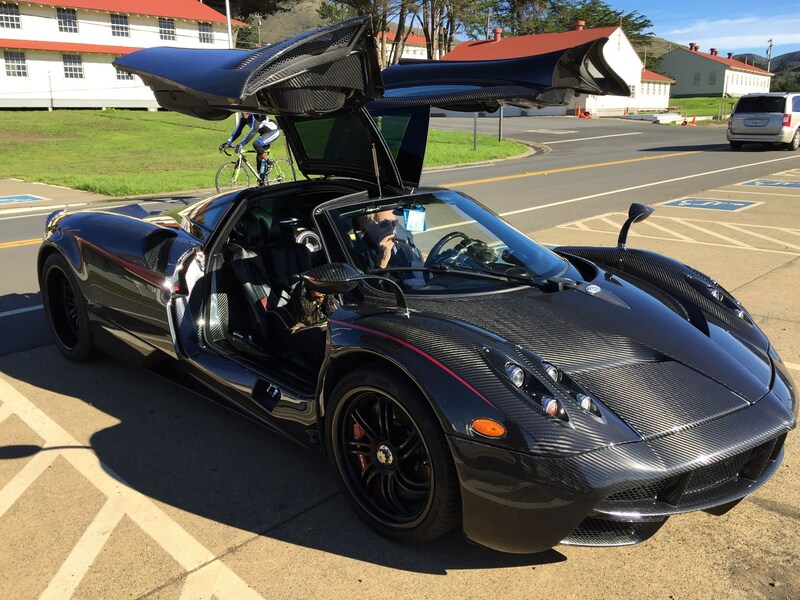 CAR reader spots the coolest ever Pagani Huayra driver! An interesting off-beat spot in California by a CAR reader called Miguel. 'Just seen the coolest ever Pagani Huayra driver!' he enthuses. 'It happened this morning, at Rodeo Beach, off the Golden Gate in California. A true gentleman driver, was very kind to answer all the questions passers-by were throwing at him. This Pagani spot has obviously had a big effect on Miguel. 'I want to be him when I grow up!' he concludes.